influencers, their audiences and brands. indaHash is introducing an ecosystem that enables influencers to create their own cryptocurrencies, which would value the activity of their audience. With the introduction of the indaHash Coin, indaHash will solve a wide range of issues and challenges between influencers, brands and audiences, while allowing their network of global influencers to play a part in the rapidly growing cryptocurrency market. The ICO pre-distribution will begin on November 8, 2017 and pre-registration for tokens is now open. Because of a highly structured crypto-economic system, the indaHash Coin has the potential to become the world-standard currency for settling all influencer activities, reflecting the value of this growing market. This ICO paves the way to enable simplified, seamless deposits on an innovative and secure platform, while granting digital tastemakers access to a leading-edge form of payment. It comes from an international business with a proven product, established track record, healthy revenue and recognizable clients including Coca-Cola, McDonald’s and L’Oreal. How it works: The indaHash crypto-economic system works between three groups: brands, influencers and audiences. 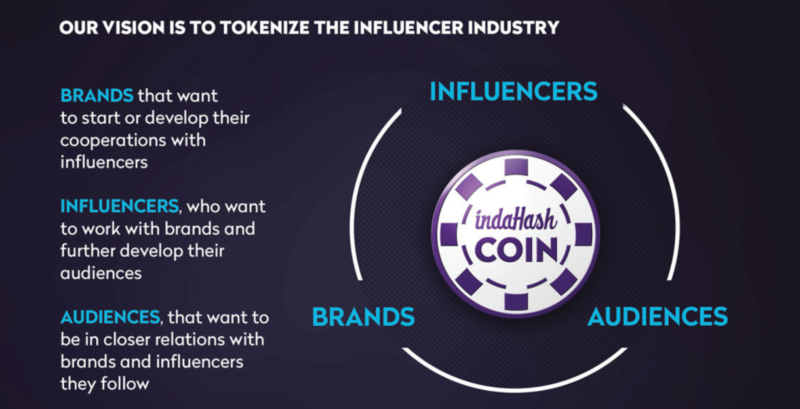 Influencers, based on indaHash Coin, can create their own tokens and use them to increase their audience engagement by rewards and gamification. They are also able to exchange their tokens for payout, or hold onto them in hopes their value will grow with time based on the cryptocurrency marketplace. Most importantly, payout with indaHash Coin will allow them to be an integral part of the growing and evolving cryptocurrency industry. At the time of this release, the indaHash app is used by over 300,000 social media users in 70 countries. Twenty percent of the token emission will be used to help educate influencers and motivate them to actively use and fully understand the benefits of the indaHash Coin. As cryptocurrency gains legitimacy and traction within the global financial market, opening up this form of payment to social influencers allows indaHash to be at the forefront of creating a new business model for the influencer marketing industry and stay highly innovative. For more information or to pre-register for token sales visit indahash.com/ico. indaHash – is an international technology platform that automates content marketing campaigns with digital influencers on Instagram, Facebook and Snapchat. 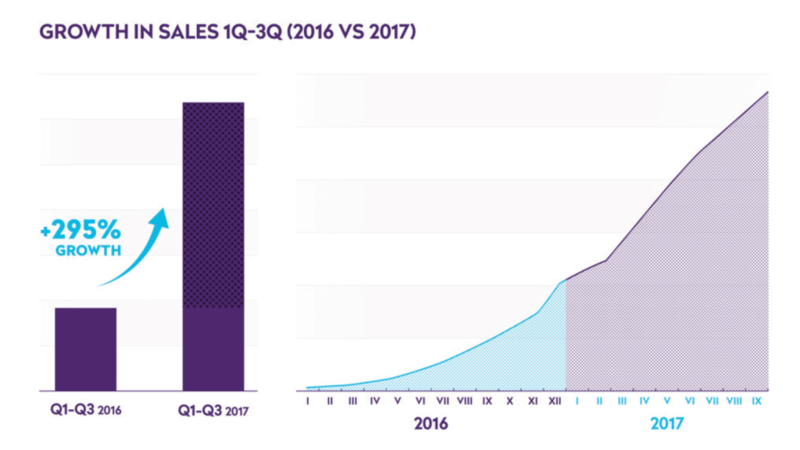 It was launched at the beginning of 2016. Since then, the platform has been used to execute over 1000 campaigns in EU, MENA, USA, South Africa, India (in total, over 70 markets) for brands such as Coca-Cola, McDonald’s, P&G, or L’Oreal. The app has over 300,000 registered digital influencers with a total reach of over half a billion followers.